Hi, Lionel. Love to see you at Incarnation Church. If you let me know in advance, maybe we can catch a bite afterwards or enjoy brunch downstairs beforehand. Menu choices we can handle. On the other hand, in our polity, you and I do not make the sorts of decisions you're writing about, ultimately--much to the relief of the Church, I'm sure! The collegiality and grace which is extended to me by clergy in both dioceses is not something I'm in a position to make happen. The camaraderie which remains among many clergy of both the TEC and ACNA dioceses helps. But most of the credit for TEC's part in my continuing the curious status I had at the Cathedral goes back a couple of years to +Ken Price, who's a pastoral and pragmatic man. If ever henceforth someone has priorities which differ from the truly serious challenges and opportunities faced by him and now by the very missional +Dorsey McConnell, s/he could review my status. Meanwhile, I'm a bi-vocational priest, I'm teaching four courses this semester at CMU, and I have a few sheep to feed. But, big picture, Lionel. Is it possible that your concerns here come from a fading old map of clearly delineated borders and denominational loyalties? The realignments I see in Christianity are not simply a shifting of borders; they are a blurring of borders. Sure, there are issues that matter, and matter supremely. Sure, groups still form around affinities. Yet, I'm seeing more fluid confederacies nowadays than your article leaves room for. Your complaint will not move the Church forward. Incarnation Church has evolved into a sort of college of lay preachers, as it turns out, and one is a Reformed Presbyterian. ++Duncan blesses that. Incarnation is a multi-site ministry, meeting in not only the gallery space, but also homes, Luke Wholey's Wild Alaska Grill, and St. Patrick's Roman Catholic Church. Iconic of something more profound? Thanks for your comment and your invitation. I would like to avail myself of the latter when my schedule allows. Perhaps the day will come when ACNA is just another Christian denomination. We’re not there yet. 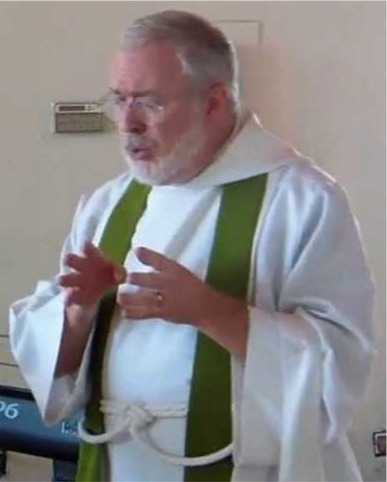 Bob Duncan is not simply the head of another church; he is the head of a church whose assets were largely liberated from The Episcopal Church and which has actively worked to replace The Episcopal Church as a member of the Anglican Communion. This is not to say that ACNA is without its admirable qualities. Incarnation is concrete evidence of that. Think what ACNA’s passion could have done within The Episcopal Church. This was a lost opportunity. If I am second guessing one or more bishops here, so be it. Alas, bishops are not selected for their political good sense. If bishops had listened to the cries of laypeople, the schism visited upon The Episcopal Church could have been avoided or its effects mitigated. I would be much more sympathetic to your involvement with Incarnation were The Episcopal Church given some credit for its operation. Instead, your work at Incarnation engenders goodwill for the Anglican diocese and suggests that the Episcopal diocese is a less desirable field in which to toil. I am a member of Incarnation Church. While we like to be much more about who we are rather than who we are not, and more about what we are doing as opposed to where we came from, perhaps some history is warranted to help mitigate mistaken impressions. Not that your piece is historically inaccurate, but it could result in some unintended inferences. We have grown to the extent that the same could not be said of us now, but in the beginning our group consisted largely of the ACNA-inclined folks who were left out in the cold after the Trinity Cathedral vote. A number of deeply injured people were floating around in the darkness with no attempted contact or pastoral care by anyone at the Cathedral or the TEC Diocese. Watching this slowly unfold, I believe that Fr. Paul recognized the pastoral vacuum, and resigned from the Cathedral some time after the rest of us did, in order to minister to us. From the beginning, discussions at our home based services were focused intentionally on healing, not on planting a church. That we grew into a church, and that Fr. Paul emerged as our rector, was all organic. 1. Your comment above suggests the Episcopal Church ought to be given some credit for the operation of Incarnation Church. Other than to point out that our parish was born specifically because of its member's rejection from an Episcopal church, I'm not sure how TEC plays into our success. 2. It is important to understand that Fr. Paul did not lead anyone out of the Cathedral. He is not one of those personality types that people follow blindly from parish to parish. Rather, he saw a genuine need to help people heal, (I believe with the encouragement of the bishops on both sides), and came to our aid well after we had departed. 3. That we are an ACNA parish comes from the fact that our people identify with the ACNA. But that we have a rector who is not exclusively ACNA says something. It means a lot to me personally that our founding members are folks who did everything they could to make things work at the Cathedral. Unlike many ACNA parishes, they worked very, very hard to stay. They did not leave of their own will, nor did they attempt a majority vote to claim the Cathedral as their own. They were pushed out. Perhaps Fr. Paul's unique status is a nod to the continuance of that perspective. Witnessing to Fr. Paul's comment on the state of denominational loyalty, I can vouch for the fact that this experience has led me to understand denominational loyalty means much, much less to me than I could have imagined. Indeed, we even have a few folks at Incarnation who continue to attend at the Cathedral on Sunday mornings, and then attend with us in the afternoons. As you suggest, we look forward to your visit as well. This is to confirm the accuracy of John's careful history. As for (2) above, yes indeed, the encouragement was from both the TEC and ACNA bishops. And while there was no immediate plan to plant a church, the possibility was part of early conversations. I think it was a week or two after the Cathedral vote, +Ken was the first to suggest it. A couple of days after that, ++Bob was talking about the possibility. (Which should surprise no one, since before the vote he'd already proposed to Cathedral Chapter that ACNA do a Sunday afternoon church plant both from and in the Cathedral itself. So typically out-of-the-box!) There was also conversation between the two bishops. What became the core of the Incarnation Church plant was a slight majority of ACNA-leaning folk, but also a significant number who had leaned TEC but were disillusioned by the apparently disingenuous way the Cathedral's discernment process was mismanaged. But, Lionel, we are an itty bitty wee little congregation. Granted, we're blessed with diversely gifted and hardworking laity who compensate for four very part-time clergy. Our annual budget is less than most individual TEC clergy salaries. We're going to stay small by splitting, Lord willing, in 2-3 years max. So, we really don't merit the column inches you've given us unless (a) you had a slow news day, or (b) somehow in microcosm we represent to you some larger worry or insecurity. However, that, on the diocesan level under +Dorsey, would be unfounded. But thanks for the free advertising. You all pray for us and worship with us anytime. Nov. 24: CMU Baroque and world-renowned period flutist Steven Schultz, with our liturgy drawn from the 1662 BCP. Every week: Gregorian chant and hymnody from spirituals to shaped-note to Anglicana. Often: poetry. Materials are available for you to artfully interacting with the work of the Spirit. John, thanks for the background, which was very helpful. Perhaps the Episcopal diocese could have done more for the people who left the cathedral after the chapter decided to honor its charter and become exclusively an episcopal church. The chaos that resulted from the 2008 schism engineered by Bob Duncan and his minions put a lot on the plate of the abandoned Episcopal diocese, however. The diocese can perhaps be excused for not doing everything it might have done as it struggled to keep body and soul together. Additionally, it was not only ACNA supporters who left Trinity after December 2011 who were hurt. Episcopalians who felt their cathedral had been hijacked were hurt. Episcopalians who drifted away from Trinity because they did not approve of the unique status the cathedral attempted to claim were also hurt. You said, “But that we have a rector who is not exclusively ACNA says something.” What, exactly? The Incarnation Web site does not acknowledge the fact, or, if it does, I could’t discover where. Those who might know that Paul is an Episcopal priest will necessarily have questions that are not answered on the Web. I don’t see any truly bad actors here. Although I cannot speak for the Anglican diocese, I think the Episcopal diocese needs to have a dialogue about what, at least in the short run, the relationship between the two Pittsburgh dioceses should be. For what it’s worth, I am not the only person concerned about your role at Incarnation. Someone else brought the matter to my attention. In any case, I think the larger question is the relationship of the two dioceses. We are, as I suggested, opponents in court and likely to be involved in nastier litigation to come. What are the implications of that? I have my own views, but I doubt those are universal within my diocese. Ken Price was very good for the Episcopal Diocese, but I did not approve of everything he did, nor is the diocese forever bound by his actions. All of which is to say that it is time that others discussed arrangements such as those at Incarnation. In your question to me, I believe I do pick up on what you are trying to say: If we are so accepting of Fr. Paul's unique circumstances, then why don't we proclaim it? Furthermore, why does our web site appear to proclaim so strongly for ACNA? This is just my opinion, but I see this how I view my political affiliation, (as unwise as bringing up politics here may be!). I will proclaim loud and clear that I'm a Republican. That may lead some people to assume that I'm a Tea Party conspiracy theorist. 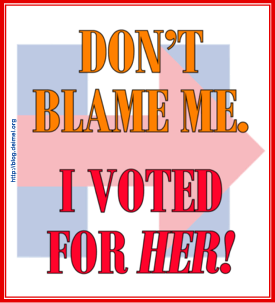 It may lead others to believe I pull the single "all Republican" lever in the voting booth. It may make others think I'm in favor of the death penalty or that I'm opposed to universal health care. All of these assumptions are wrong. But that doesn't make me any less of a Republican. We are an ACNA parish. We tithe to the ACNA diocese, we are visited by the ACNA Bishop, and we use the ACNA cycle of prayer. However, we also live very much into the blurring of borders and fluid affinities Fr. Paul alludes to in his initial response. That doesn't make us any less of an ACNA parish institutionally and so, we simply proclaim what we are. I think the rest of our web site and other published materials speak for themselves in terms of the creative directions we're headed as a parish, and I think that's what people find intriguing about us much more than what province we're in. Lionel, you write, "Although I cannot speak for the Anglican diocese, I think the Episcopal diocese needs to have a dialogue about what, at least in the short run, the relationship between the two Pittsburgh dioceses should be." Let's keep it simple. I assume the TEC diocese's discussion on sexuality will not depart from tradition, since--regardless of theological nuance--in the Western PA context a "progressive" outcome would be suicide for TEC. So, then, (1) since +Dorsey and +Bob are similar enough theologically, and both are missionary bishops, they and their dioceses become ecumenical partners in mission, while remaining distinct within their respective provinces, and (2) both dioceses withdraw all legal actions against each other.